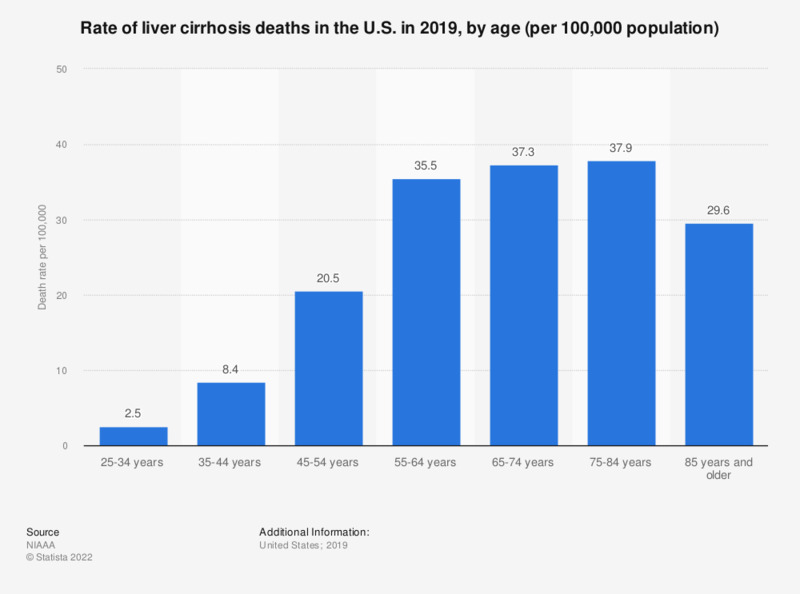 This statistic shows the death rate from liver cirrhosis in the U.S. in 2015, by age. According to the data, during that time the highest death rate was 34.8 per 100,000 and was among those aged 75-84 years. Everything On "Liver disease in the U.S. " in One Document: Edited and Divided into Handy Chapters. Including Detailed References.